Russian Hill is a wonderful neighborhood for children. With nine parks and playgrounds, three nearby libraries, and a range of child-friendly restaurants and shops, parents and children can easily stay busy here. There is also so much for families to explore in San Francisco and the surrounding areas. Below are a few highlights. On the fourth Tuesday of every month from 9:30am-12pm, the Early Literacy Mobile (ELM) comes to Helen Wills Playground at Broadway and Larkin Streets. Children can check out library books, read, and play with outdoor toys the ELM brings along. Learn more here. The Powell/Hyde cable car line runs right through Russian Hill. Jump on a car heading south and ride to Union Square. Or, stop off at the San Francisco Cable Car Museum on Mason Street to learn the history of San Francisco’s iconic system. Get the route schedule here. Tucked in the back of this wonderful neighborhood bookstore at 2234 Polk Street is a robust Children’s Room, full of new and used children’s books, games, and toys. It’s a perfect place to visit with kids, or pick out gifts for young people. Learn more about the Russian Hill Bookstore, one of the last family-owned used and new bookstores in San Francisco. Click Russian Hill Bookstore. Art, soccer, baby & me, and petite bakers are just a few of the children’s classes offered at the Moscone Rec Center in the Marina, a short walk from Russian Hill. To browse the program list and subscribe to the classes, visit the SF Recreation & Parks. Every Saturday, Sunday, and Monday from 10am-12pm, the beautiful Walt Disney Museum in the Presidio hosts studio sessions for kids ages 7 and under free with museum admission. Each month has a different theme based on museum exhibits, and kids have a chance to create their own artwork based on the theme. After the studio session, pick up lunch at the delicious Museum Café and picnic on the grass outside with stunning views of the Bay and Golden Gate Bridge. Learn more here. Peekadoodle Kids Club is a membership-based kids club for children ages five and under with an entrance on Polk Street, just north of Bay Street. It has a fun play area with a kid-sized cable car and Golden Gate Bridge, and it offers a preschool, various classes, and camps. Subscribe to their email list-serve and receive a first-time guest pass worth $50. Learn more about Peekadoodle. On Powell between Francisco and Chestnut is Destination Art, a perfect space for kids to get creative. They offer drop-off pre-school art and play programs for children ages 2-5, summer camps, and movie nights on the second and fourth Fridays of each month. Kids have the chance to explore painting, ceramics, paper mache, drawing, sewing, textiles, carpentry, collage, sculpture and much more. Visit Destination Art to learn more. Located on Sloat Boulevard at the Great Highway, just south of Ocean Beach, the San Francisco Zoo is a wonderful outing for kids of all ages. Special attractions are the African Region near the zoo’s entrance with zebras, giraffes, and ostriches; the Little Puffer Steam Train; and the recently-opened Elinor Friend. Once each month the zoo hosts a free day for SF residents. Check the SF Zoo’s Calendar of Events to find out about upcoming free days, as well as other zoo activities. An incredible gem for families is the Bay Area Discovery Museum at Fort Baker in Sausalito, typically just a fifteen-minute drive from Russian Hill. The museum is dedicated to igniting creativity in children across their 7.5 acres of indoor and outdoor exhibits. Among other activities, toddlers can explore animal homes and habitats, children can play with a simulation of the Ports of San Francisco and Oakland, and two well-staffed art studios give children a chance to get creative. The Museum is free on the first Wednesday of each month. Learn more at Bay Area Discovery Museum. New to the neighborhood and interested in connecting with other parents? 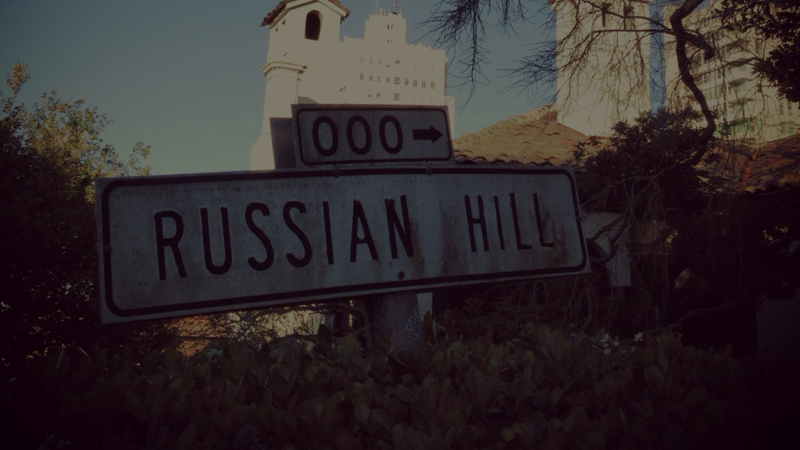 Concerned about an issue affecting families with children in Russian Hill? Contact Families with Children Chair.